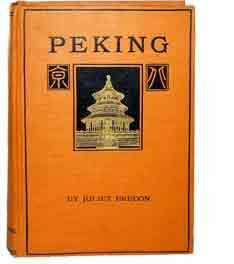 Although Juliet Bredon’s Peking, first published in 1922, is one of the all-time great guidebooks, it is so much more than that. Bredon was a long-time resident of Peking (now Beijing), and her intimate knowledge of the city is reflected on every page. Opening the cover is like stepping back in time to an ancient capital that no longer exists — a time when the Imperial City was still mostly unchanged, the Tartar Wall still stood, and camel caravans arriving from Central Asia were a regular sight. 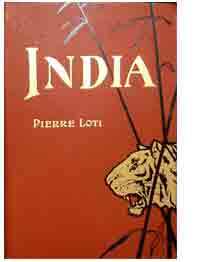 Rich with photographs, maps, and plans, the book is not only an entertaining read, but also a wealth of historical information and, for anyone interested in Asia, a genuine treasure. 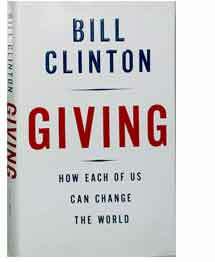 In Giving, How Each of Us Can Change the World, Bill Clinton, 42nd President of the United States, honors notable philanthropic efforts. He chronicles the stories of those who give their time or money to advance the understanding of complex issues (such as childhood obesity), to discover cures for diseases (such as malaria), and to protect the poor and vulnerable. To this, he adds his insights to challenge all of us to make a difference by finding a way to contribute what we can to meaningful causes. The former President personally signed this volume, which makes it popular as a collectible and, if you’ll forgive the pun, perfect for giving. Osa and Martin Johnson were adventurers and documentary filmmakers in the early 1900s; their movies were very popular in their time. They traveled extensively in Africa, where they had a home, and also in Borneo, where headhunters still existed. 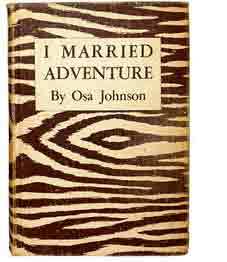 I Married Adventure, by Osa, follows their globe-trotting life, beginning at age 20 when Martin joined Jack London aboard the Snark. Together, Osa and Martin circled the globe six times and made the first sound pictures of Belgian Congo gorillas and pygmies of the Ituri forest. This book, with its emblematic zebra-patterned cover, captures adventure on the frontier in memorable fashion. 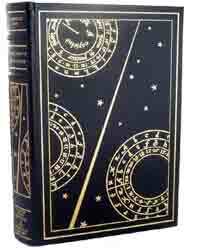 It was published in 1940 and is signed by Osa.